Enter our Facebook Giveaway and you could win a $50 gift certificate! 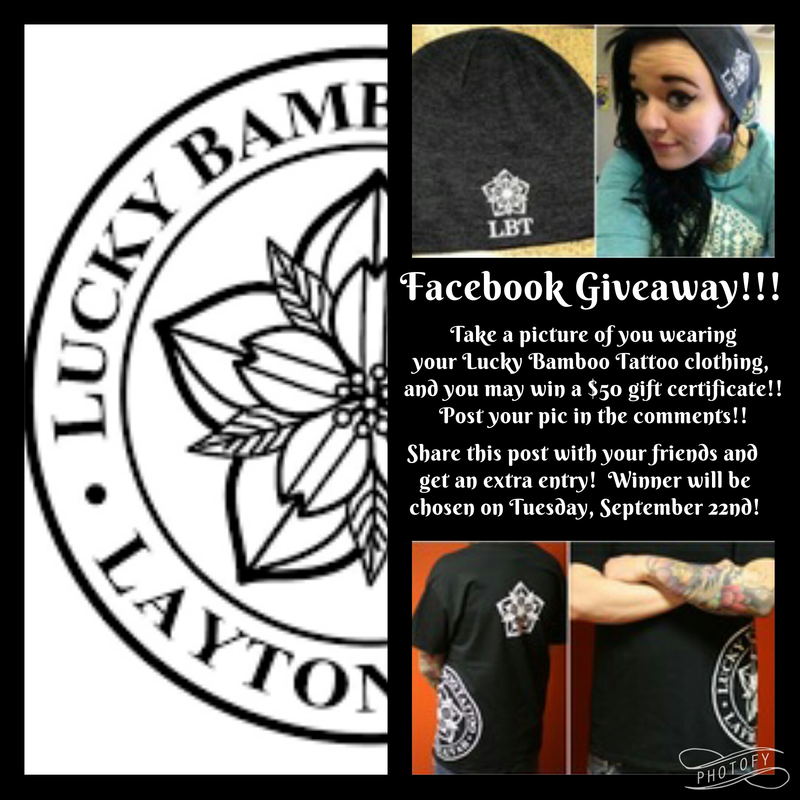 Take a picture wearing a piece of Lucky Bamboo Tattoo merchandise and go to www.facebook.com/LuckBambooTattoo and post in the comments of the Giveaway post. If you share the post with your friends you will receive an extra entry. If you don't have a piece of merchandise, come over to the studio and purchase one! Giveaway ends on Tuesday, September 22nd. Good Luck! !